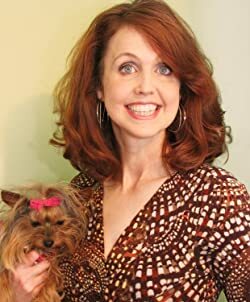 Kaylee Rose is thrilled when a neighbor moving out of the country asks if she’ll consider taking in her teacup Yorkie,Valentino, but there are a few strings attached. When she finds out a man she can’t stand is the other caretaker, she’s forced to deal with the arrogant jerk until they decide who gets the pampered pooch permanently . . . or risk losing the dog to a heartbreaking fate. Kaylee hoped punctuality weighed somewhere in their evaluation, because whoever Carter was, he or she was fifteen minutes late the last time Kaylee checked her watch. Not that she minded. It was a little intimidating to meet the other potential owner. What if Valentino liked Carter better? 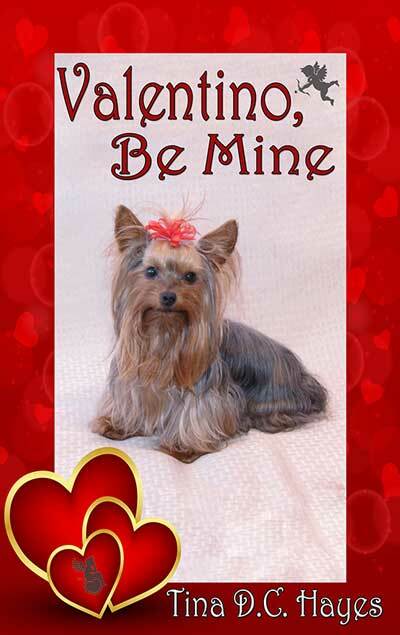 As if he sensed her worry, the Yorkie wiggled around in her arms and licked her cheek again. She draped him over her shoulder, a position she knew from experience that he enjoyed, and nuzzled her cheek against him. Something behind Kaylee caught Ruthie’s attention. A silly grin twisted her mouth as she threw her hand up in an exaggerated wave. Unless this Carter person was a complete moron, they were pretty hard to miss, since they were the only people in that part of the park. “Carter, over here!” Ruthie stood and flapped her arms even more. OMG. Either Pam’s personal assistant had finally lost it after years of dealing with her perfectionist boss or there must be a celebrity walking up behind them. Kaylee was afraid to look. She racked her brain for any movie stars named Carter but couldn’t come up with a single one. From the blush on the other woman’s face, she was pretty sure Carter was a man, and if not a famous one, he must be drop dead gorgeous. Kaylee ran her hand through her hair and pushed a section of bobbed blonde locks behind her ear before she turned around to meet him. Sunglasses hid his eyes, but she could definitely understand why the PA was acting like a teenage girl backstage at a One Direction concert. Carter was smoking hot. “Sure,” Kaylee answered, and let him hold the pooch that was squirming to get to him. Then Carter took off his shades. It couldn’t be, and she hoped to high heaven it wasn’t who she thought. But it was. When he smirked at her, it erased any lingering doubt. Tina DC Hayes writes romantic suspense and cozy mysteries with a paranormal twist. She lives down a little country road in western Kentucky with her husband and four children. A few pampered pooches and two parrots keep her company while they stand guard against writer’s block. In her spare time she reads, hangs out with friends and family, watches movies, plays guitar, and indulges her inner Foodie in the kitchen and by chowing down at cool restaurants. Currently up to her elbows in diapers, she’s an expert at 4 a.m. bottle feedings and Patty Cake. 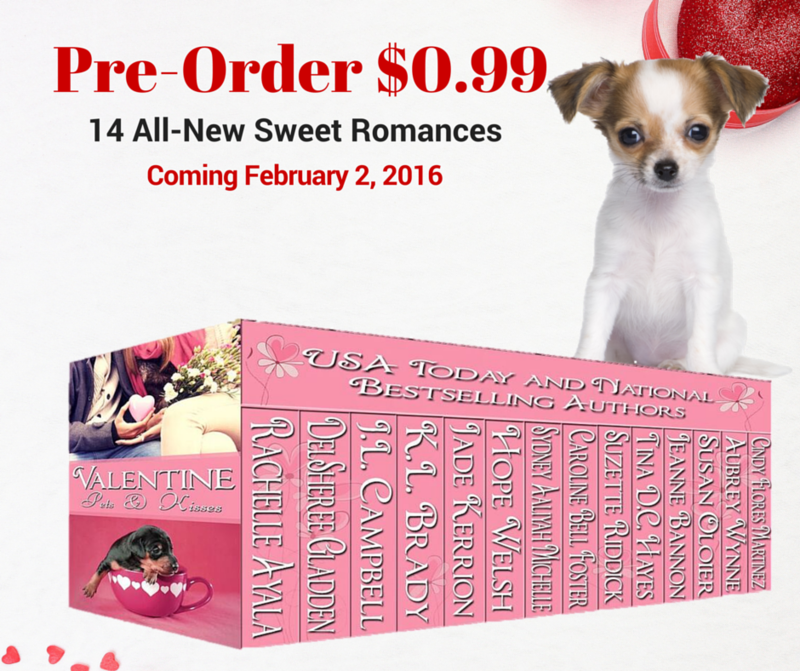 ONLY 99c for 14 All-New Sweet Romances! Chat with the authors and win great prizes! Come join the Fun.